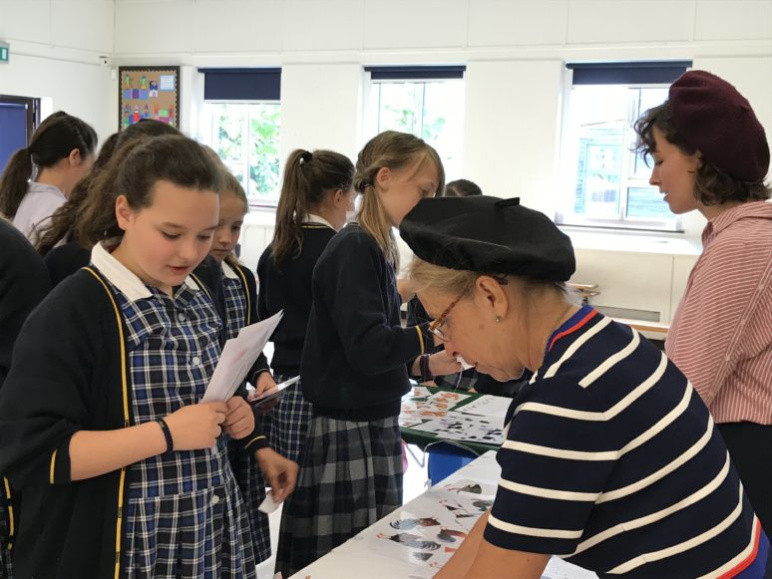 It was French Day in the Junior School on Friday 8th June. This year the theme was ‘The Farm’. The aim of the day was to speak more French and understand a little more about the French way of living. There was a market set up in Oaks Hall, where the girls shipped to purchase what was on their premade lists – all in French of course! The list included large and small animals. The older Juniors even calculated the cost of their purchases, again in French, and using pretend Euros. There was a positional farm bingo game the girls played where they had to describe the picture (for example: the is in the barn), a written task where the girls has to describe what they could see in a French scene, testing their French describing word knowledge. Other activities included researching about French places and a craft to construct an Eiffel Tower out of card. The kitchen staff were happy to get involved with the French theme, too, and kindly prepared a hot French themed lumnch with choices ranging from ‘Cuisses de Poulet’ (chicken legs), frites and ‘Croques Monsieurs’ (cheese toasties), yum! The infants even had a special picnic lunch, again prepared by the kitchen staff. The Year 1s and 2s began by learning the vocabulary in class but on French Day they learned a Farm song together with the Reception class. They then played French bingo like the older Junior girls, and also painted some farm animals. 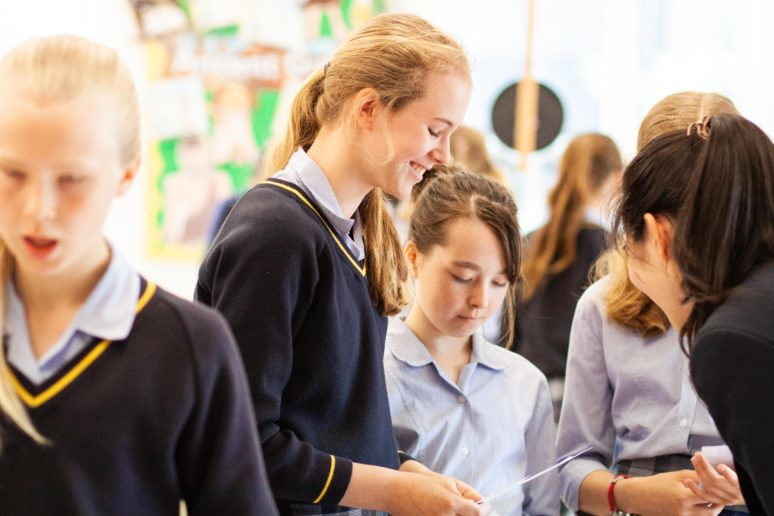 Four Year 10 girls supported the Year 5s and 6s throughout the morning of French Day, contributing to the fun and learning. 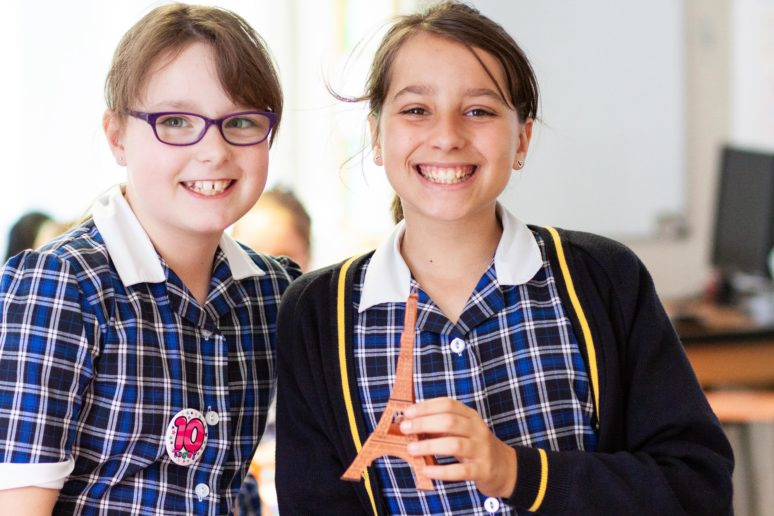 They offered help, support and guidance to the Junior girls improving their French. As well as the Year 10s, they also had a Sixth Form student who gave up her time to help support Madame Martin and Madame Branton for the duration of the French Market in the morning, connecting the Junior and Senior sections of the school. Overall, it was a lovely day where many parts of the school got involved. The girls had a lot of fun learning about French life and participating in the activites that were prepared for them.